Scott Taylor did well in his 26 March 2018 “On Target” column “Mission to Mali: What Is Canada’s Long-Term Objective?” Specifically, he points out that politicians are deploying Canadian troops abroad in harm’s way once again, not directly to protect tangible Canadian interests, but rather in the furtherance of intangible political ideals. That Trudeau is deploying Canadian air assets and 250 Canadian troops in the name of the UN differs from Paul Wolfowitz sending American troops to Iraq in exactly that manner in which Coke and Samsung respectively differ from Pepsi and Apple. Once more, the armchair Rambos are flexing the definition of the word “combat” in a manner that even Gumby would tip his hat to in order to placate a Canadian public hostile to the prospect of Canadian casualties. human rights abuses in terms of illegal detentions and illegal treatment of detainees in the name of “counter-terrorism.” In this regard, Trudeau’s support for the MDSF-allied MINUSMA UN mission directly flies against his refusal to sell Filipino strongman Roderigo Duterte Mirabel Québec-manufactured helicopters on “human rights” grounds. On the other hand, CAF participation in MINUSMA would be far from the first time a military engaged in operations which ended up looking nothing at all like what the objectives were going in. In 1914, the Germans had the Schlieffen Plan and the French had Plan XVII. Little in the ensuing four years resembled either plan. Furthermore, as Mr. Taylor alluded to, France has an operation distinct, but not entirely separate, from MINUSMA in Mali. 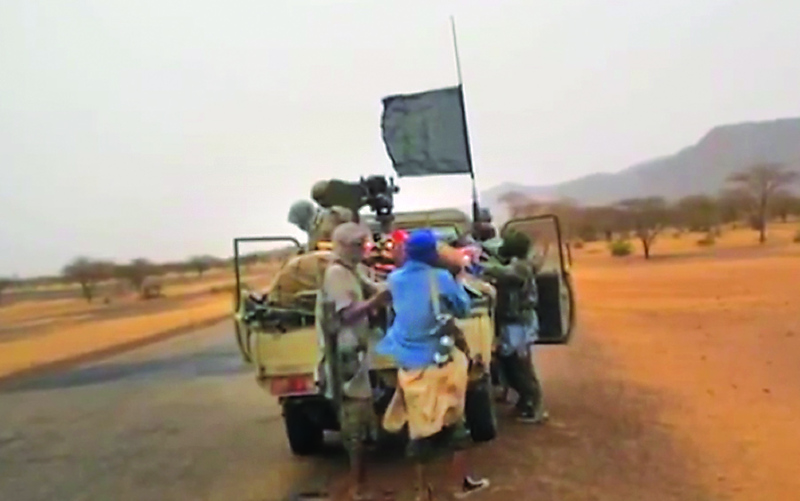 This is France’s Operation BARKHANE, wherein France, since 1 August 2014, has cooperated with Mali, as well as Burkino Faso, Niger and Chad, against “Armed Terrorist Groups” in the region. As Jean-Marc Tanguy pointed out in his article “Au coeur de ‘Gorgonnes 2017’” (“At the Heart of ‘Gorgonnes 2017’”) in the December 2017 edition of the French military magazine RAIDS, key French units have a shortage of helicopters. Having Canadian air assets and personnel in Mali, irrespective of what the official, political, objective may turn out to be, may at least have the effect of operating in one area and thereby liberating French assets and troops for use elsewhere in BARKHANE. Along the same line, the December 2017 French Ministry of the Armies Press Release “Dossier de Presse Opération BARKHANE” emphasises the word “partnership.” This press release speaks of partnership, not merely with the local countries, but also with MINUSMA, which has around twenty French soldiers under the command of French Général de Brigade (BGen) Marc Ollier. France is a NATO, and longstanding traditional, ally of Canada. In this sense, Canadian participation in MINUSMA, irrespective of official explanations as to why, could materially operationalise Paragraph 0606b of pages 6-2 and 6-3 of Canadian Forces Joint Publication (CFJP) 01: Canadian Military Doctrine which specifically gives the Canadian military the mandate to conduct Combined Operations with Allied and United Nations-mandated missions. While Trudeau’s political pronunciamentos certainly satisfy the “United Nations-mandated” aspect of Combined Operations in Canadian Military Doctrine, the fact that CAF participation in MINUSMA will also associate them, however tangentially, to the military efforts of Canada’s ally France additionally satisfies the “Allied” aspect of these Combined Operations. Furthermore, CAF MINUSMA participation would work in parallel with Operation FREQUENCE, wherein RCAF CC-177 Globemaster III’s are supporting France’s BARKHANE.